To avoid issues with the TV display, avoid switching it ON within 15 seconds of turning the device OFF, never spray colin directly on the device and use a dry cloth instead for cleaning purposes. Yes, a 1-month warranty is provided for the repaired/replaced part. The screen should never be sprayed with any kind of liquid. 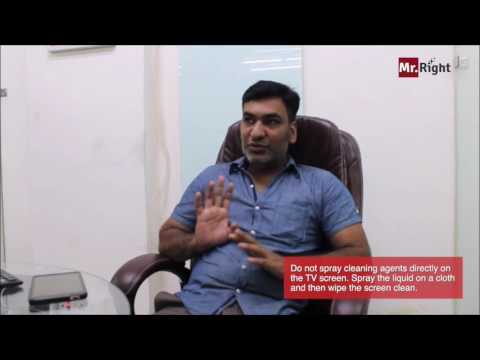 Use a clean, soft and dry cloth for cleaning the TV set. Picture color problems can be due to various reasons like logic card problem, faulty motherboard, faulty screen or panel. There can be other reasons as well. The price of replaceable parts varies largely with brand. Book our LCD and LED repair service to restore your TV to perfect working condition.